The lighthearted concepts of these games are refreshing. Matthew Hubbard’s Dolphin is adoration in video game form. His fondness for what is considered one of the smartest animals on the planet shines through in sonically innovative gameplay and a manual that reads like an educational children’s book. 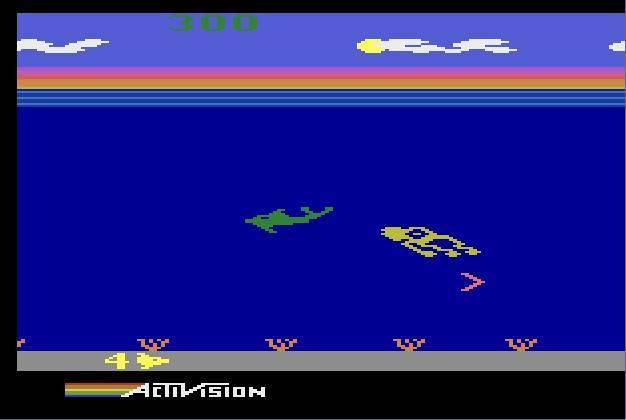 Controlling the eponymous dolphin, players must move swiftly to evade the stalking squid and dart through schools of seahorses. Catching waves, represented by inequality signs, can provide an essential boost. The most interesting mechanic in Dolphin is its use of sonic cues. Before a wave, a school of seahorse, seagulls, etc. appear on screen, the player will hear a sonic cue. With some time, differentiating these cues allows one to forecast what is appearing and how to react. It’s a very cool mechanic and its implementation in this game specifically is well done. 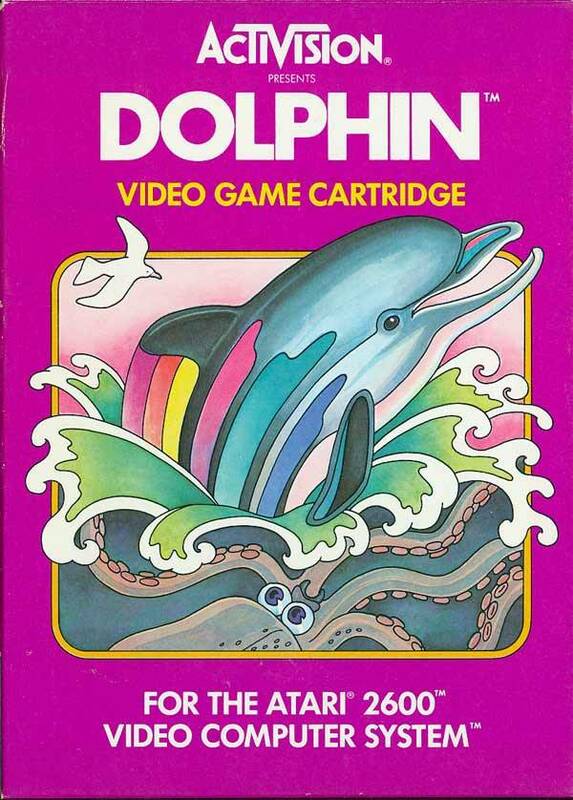 Dolphin has no goal other than attaining a high score. Lacking stages, players play cat and mouse (squid and dolphin?) until their lives are depleted. While its core gameplay mechanic is functional and fun to adapt to, and the game plays well, only high score fiends and dolphin enthusiasts need apply. Evading the squid meant changing direction, and often. Should it be played on Activision Anthology, scores of 10,000 to 25,000 points will unlock patches and a gameplay mode. These requirements are much easier than what players were originally asked to do to earn patches – 80,000 points and south of 500,000 points.